Standing tall on the hill top you could see the valley of Manang, the mystic place in northern himalayas of Nepal. Place from the gate way to the highest lake in the world lies and the pass which we could reach to a newer destination of high altitude plan lands. As i make a short walk to a nearby hill to see the valley of kathmandu, i plan my way to the place where mountains are close by, where rivers flow in the gorges clashing down the hills. 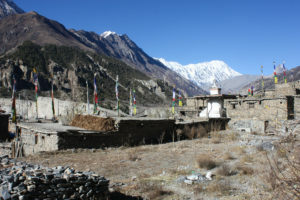 Manang, Tilicho lake, Thorongla pass, jomsom, muktinath, name itself is enough for those who have heard about it. Waking up early morning i finished my final packing, along with my friend and my cousin brother we take a bus from Gongabu to Beshisahar. Almost 5hours ride and we reach at the town of besisahar, from where our journey starts. 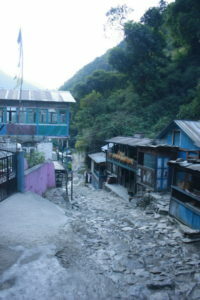 After a good lunch, we take a jeep to Chamje, one can reach Manang if started at early morning. As for us we took the jeep, after a long and bump ride, which took us to a small town of Chamje, where we settled for the night. Dinning room was full of travelers, and after the dinner we made it to our room. Early morning we rode on the same jeep, along our journey we crossed over the waterfall and we could see the trekking route in opossite direction to us. River marshyagdi river flows down below, and hills takes us slowly to the high mountains. After crossing few check post we come to chame, VDC actually it has many hotels to stay over night. But we moved along in order to reach manang by evening, air was cold and we could see the Lamjung himal on ur west direction. Following the dense jungle, throught the up hill ride we could see the mountains from our jeep. There were few amazing waterfalls on the road way. Slowly the day closes off with a few forest which comes across us our way, the road becomes more easy and less bumpy. 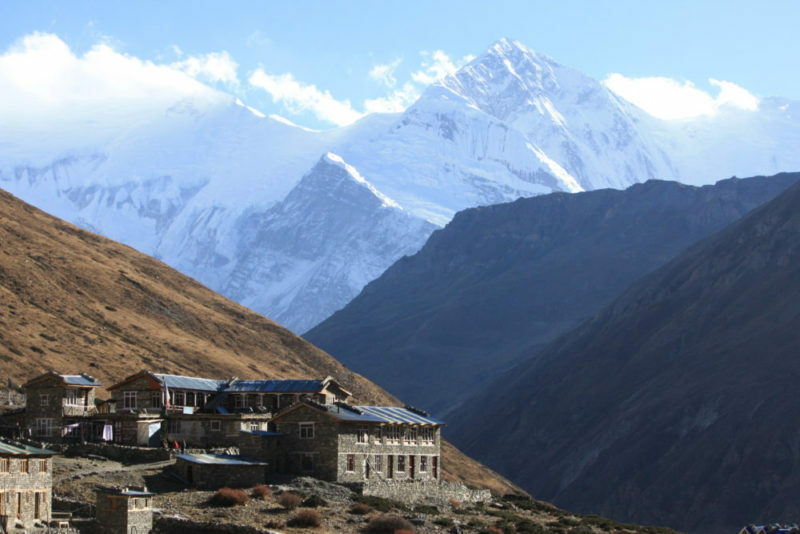 We cross a hill and there we see the pisang valley, amazing hill on the southern part and here you can stay , plan your way to a higher place to upper pisang which is also astounding as Manang. 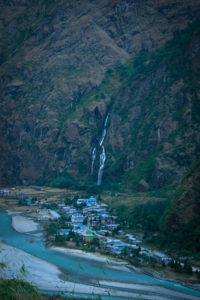 Finally we reached Manang in the cold evening, hotels glimmering light could be seen and everyone seems inside their cozy houses. That night we spent after a good dinner and slept through the night.